To compile our Solidity smart contract, we need a compiler. 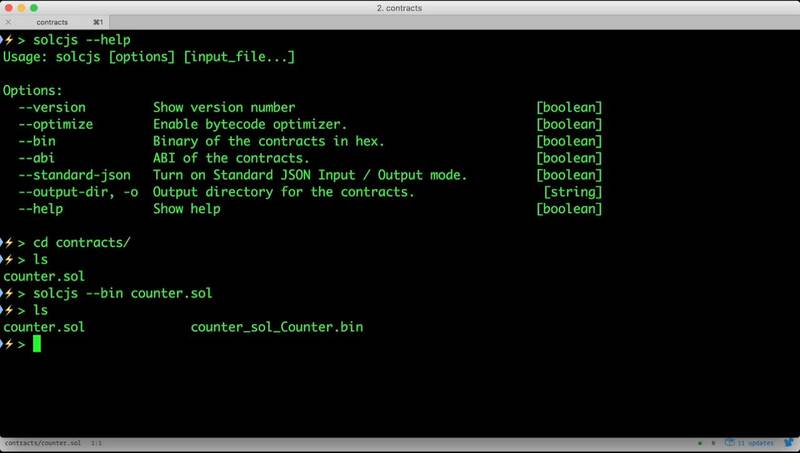 The main solidity compiler is solc. It’s written in C++ and it’s a good idea to use a formal release build for your production smart contracts. Well, that’s not exactly enlightening, but this is a hex encoded version of the bytecode of our script. There are other ways of viewing the opcodes that are clearer, but we don’t need them right now. The first thing that we need to do is assign our contract hex code to a variable. It will help if you have two tabs open. I have geth console in one, and a shell in the other.